As experts in home heating, the Heating and Cooling Specialists at Fox are often asked about ductless heat pumps. The fact is, ductless heating is so energy efficient that it is fast replacing other forms of electric heating. But that’s only one of the many great benefits to going ductless. Here are the top 5 reasons that our customers have shared with us for choosing a ductless split system. If you are one of the thousands of customers in King County with an electrically heated home, you likely know the pain of high winter heating bills. According to NEEA (A nonprofit organization that works with our utilities to promote energy conservation), ductless heat pumps can lower heating costs by 25-50% vs other forms of electric heating, and even more when compared to oil or propane heat. Imagine cutting your bill in half! A heat pump takes heat from one place and deposits it into another. In the winter, it takes heat from the outside (yes, even when it’s below freezing out), and transfers it into your house. How does it do that? Inside that heat pump is a compressor which circulates a refrigerant between an indoor and an outdoor unit, ferrying the heat. This technology is reversed in summer when your ductless heating system becomes an air conditioning system. Quiet and easily adjustable, a ductless system can maintain ideal temperatures throughout the year. Ductless systems are modular and scalable. Like Lego’s ®, the basic set up of one outdoor unit and one indoor component can be expanded upon to heat the rooms where it’s needed. The system is only as big as it needs to be. This makes ductless heat pumps great for whole home heating and cooling, or temperature control in one area such as a bonus room, workshop, garage or addition. Ductless heat pumps are relatively new to the US market, but are the main heating and cooling systems in Asia and can be found all over the world, and are proven over many years of use. With minimal maintenance, the lifespan of a ductless heat pump can be 20 years, which is on average 25% longer than a furnace. The Heating and Cooling Specialists at Fox install and service Daikin ductless systems because we believe they are the best, and our customers have been over the moon with them. 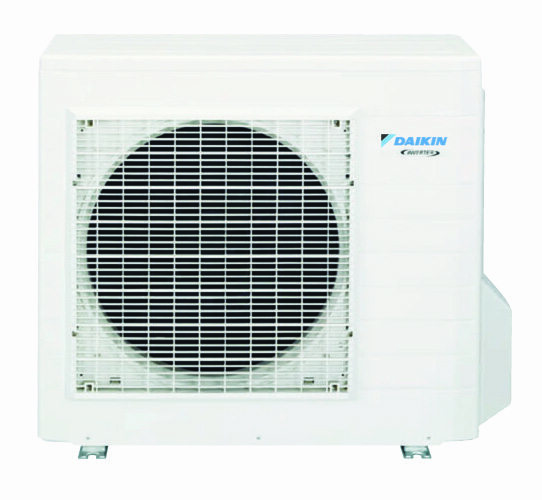 Founded in 1924, Daikin is the global leader in air conditioning. Unlike other ductless manufacturers, heating and cooling is all they do. Their 3 lines of business are heat pumps, inverters and refrigerants – the three components that go into a ductless system. They don’t make cars, motorcycles or other appliances. So while many Seattleites are new to Daikin, you can have confidence that they are top notch. Fox Plumbing and Heating offers quality installation and service of ductless heating systems in Seattle and throughout King County. Do you have a ductless split system in your home? We’d love to hear your story. Or for more information on how you can go ductless, contact us.